Uttamadhanapuram Venkatasubbaiyer Swaminatha Iyer (1855–1942) was a Tamil scholar and researcher who was instrumental in bringing many long-forgotten works of classical Tamil literature to light. His singular effort over five decades brought to light major literary works in Tamil and contributed vastly to the enrichment of its literary heritage. Iyer published over 91 books in his lifetime, on a variety of matters connected to classical Tamil literature, and collected 3,067 paper manuscripts, palm-leaf manuscripts and notes of various kinds. He is affectionately called Tamil Thatha (Grandfather of Tamil) .. he lived in Triplicane and taught at Presidency College .. In the ‘breaking news culture’ and hype that attracts media, it is possible, you may not have noticed the announcement of literary awards by the Tamil Nadu Government. Chief Minister Edappadi K Palaniswami on Tuesday presented literary awards - Chithirai Tamil New Year awards for 2016 and Thamizh Chemmal awards for 2015 - instituted by the Tamil Nadu government, at a simple function at the Secretariat. Manavar Mandram, a Tamil literary forum, has been chosen for Thamizh Thai award for 2016. The forum will receive five lakh rupees, a shield and a citation. LK Agniputhiran (Kabilar award), MA Venkatakrishnan (UVeSa award), Ilangai Jayaraj (Kambar award), B Manikandan (Sollin Selvar award),Vaidehi Herbert (GU Pope award), TM Abdul Kader (Umaruppulavar award), N Nanjundan (Ilangovadigal award) and Hamsa Dhanagopal (Amma literary award) received the awards from the Chief Minister. There were many other awards and recipients too. Besides, one scholar had been selected from each of the 32 districts in the State for Tamil Chemmal awards which carry Rs 25,000, a citation and a shawl. What must attract us and make the Srivaishnavaites happy is the conferment of ‘UVeSa award’ [named after Tamizh thatha U Ve Saminatha Iyear] to the great kainkarya Sriman Dr MA Venkatakrishnan at a time, when we are happy celebrating Sahasrabdi of Swami Ramanujar. - - - fondly known as ‘MAV” his popularity precedes him. He was born in 1954 to Sri M.A. Krishnaswamy and Smt. Rukmini. 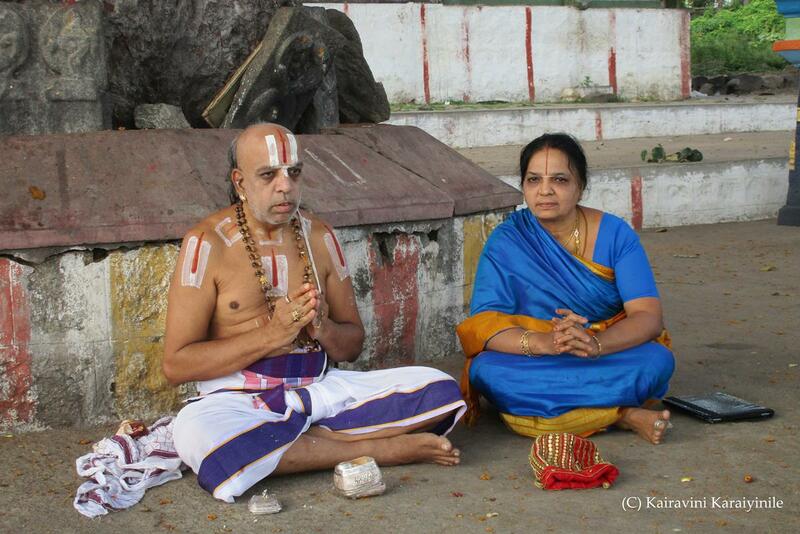 He comes in the lineage of Mandayam Ananthanpillai family, a descendant of Anandalwan, a disciple of Sri Ramanuja. 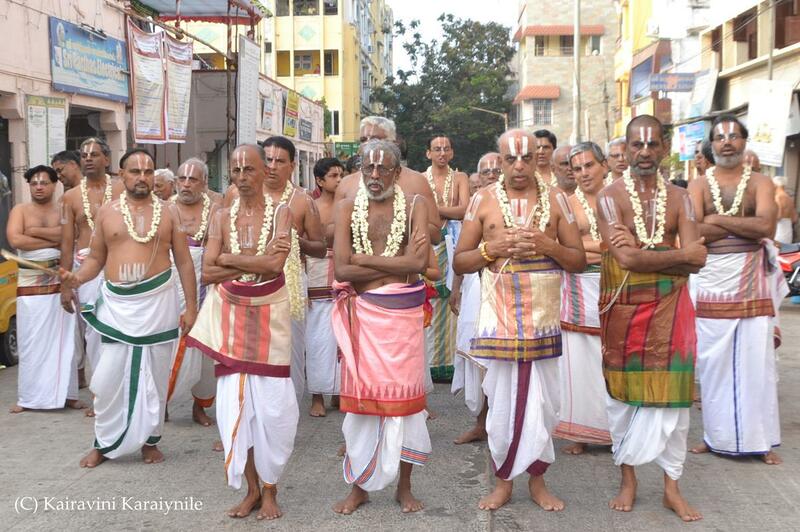 Purattasi Visakham on 28th Sept. 2014 marked his 60th Abdapoorthi celebrations of our beloved Swami. On the academic side, MAV holds : M.A. (Sanskrit), M.Phil., (Visishtadvaita), Ph.D. (Visishtadvaita), D.Litt. (Srivaishnavism). He happily retired as Professor and Head of Department of Vaishnavism, University of Madras, having shaped many students inculcating the finer aspects of bakthi and Srivaishnavism. Swami has printed several unpublished palm-leaf manuscripts for the first time. At a very young age, he started the Sampradhaya monthly journal “Geethacharyan” which is popular for over 30 years now. He has published many books including : Jijnasadhikarana of Sri Bhashya - A Study, Tattvasara of Vatsya Varadacharya (with English Translation), Thirupplallandu with the commentary of Periyavachan Pillai and easy Tamil rendering; Vainava Acharyargalin Vazhvum Vakkum (Detailed exposition of Aithihyas & Nirvahas - 832 pages); Tattvaviveka (a Sanskrit work of Pillai Lokacharya publised for the first time from a Palm-leaf manuscript. ); Thiruvaradhanakramam of Manavala Mamunigal (with easy Tamil rendering). We feel elated on the conferment of yet another award ..